Yey, It's Friday! 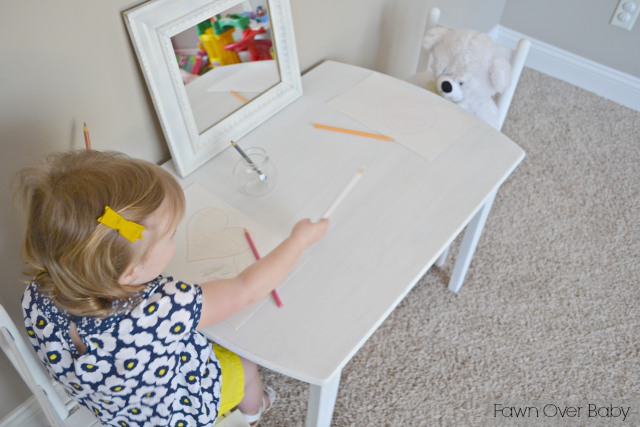 Just in case you don't have any exciting plans this weekend and you are looking for a fun and easy way to feel positively productive, I have the perfect project that will hopefully brighten your day and your little one's play space! Since we moved into our new home here in Georgia, McKenzie's nursery/room has been a tiny bit neglected (break - is it ok, that I still call my 15month old's room a nursery? - I digress). Well moving from a townhome to a single family house has wonderfully given us double the space, however, that means more time and money is spent attempting to fill that extra space. One of the rooms that has had to wait a little bit, is McKenzie's room. 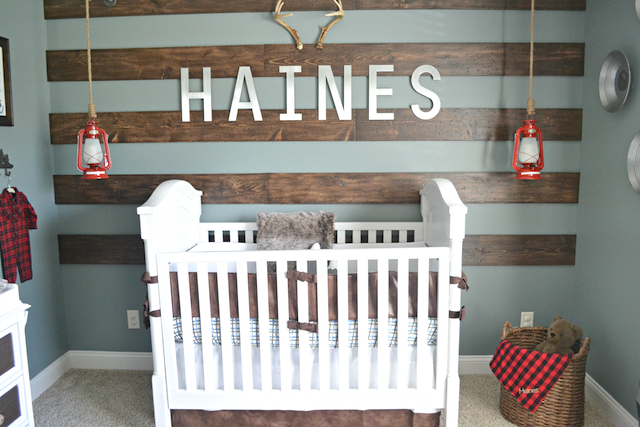 While I plan on keeping everything from her old nursery, I wanted to tweak it a bit and add a few fun elements. So this week I've decided to focus on adding touches to her room that will help livin' it up a bit and provide her with an exciting space to wake up to and play in every day. 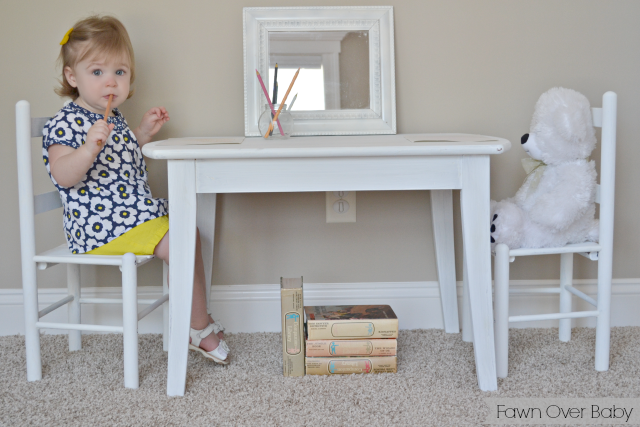 First on my "McKenzie's Room" to-do list is painting an adorable toddler table and chairs my mom picked up at an estate sale last summer. When I found this little cutie in her garage, I thought it was the sweetest thing ever and I knew Kenzie would think so too! 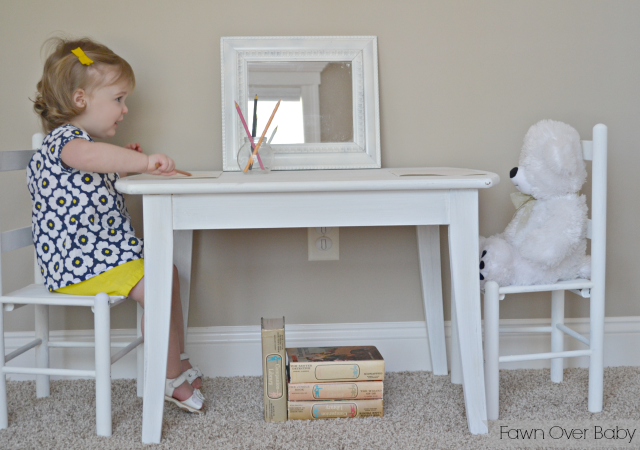 Though the brown wood was in great shape and gorgeous, I knew I would eventually paint it white to help girly it up a bit for our little girl. When it came time to paint, my mom suggested I try this new paint called, "Chalk Paint". 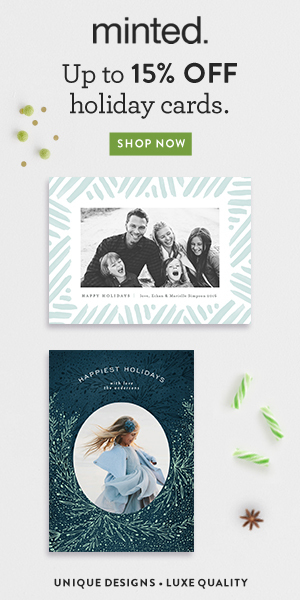 She has a few DIY blogs that she religiously visits daily, so it didn't surprise me that she knew all about this amazing new way of painting! "Chalk Paint" is a fun decorative paint that is being used to give furniture (or accent pieces) a worn and washed-out look. Not to be confused with "Chalk-Board" Paint. 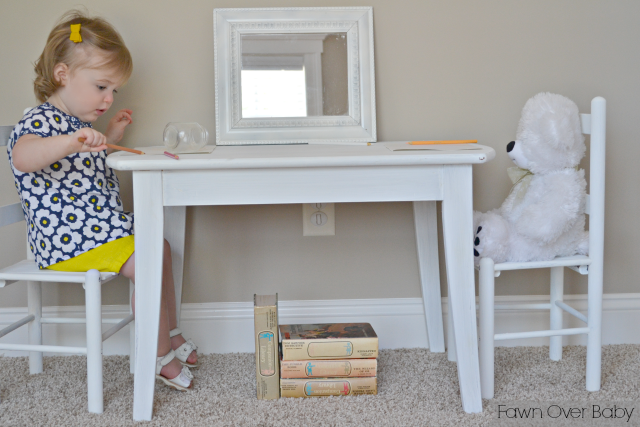 "Chalk Paint" does not turn your surface into a chalkboard. It gives it a "chalk-like" finish, allowing for easy distressing and can be given any type of finish with a wax or glaze. 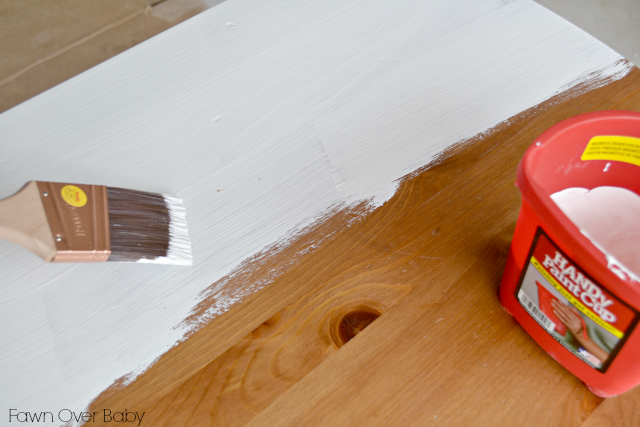 The great thing about "Chalk Paint" is you are able to apply it without sanding or priming! Yes, you heard me correctly. Go ahead, scream..."YEY!!" No matter if your surface has been previously painted or stained, all you have to do is paint a few coats on, let dry then wax (or glaze). That's IT!! 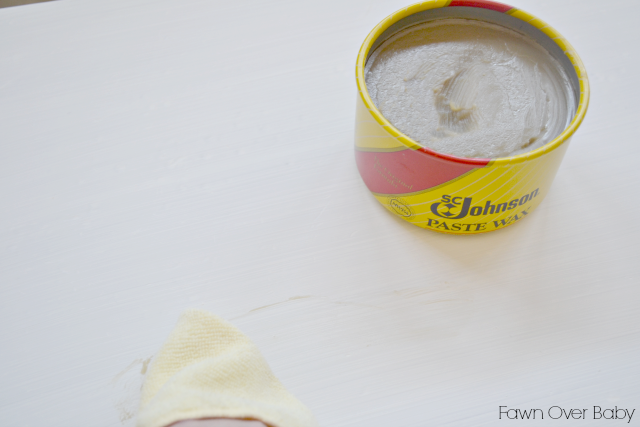 There are a few "chalk paint" brands on the market that you can purchase, however, I decided to make my own. 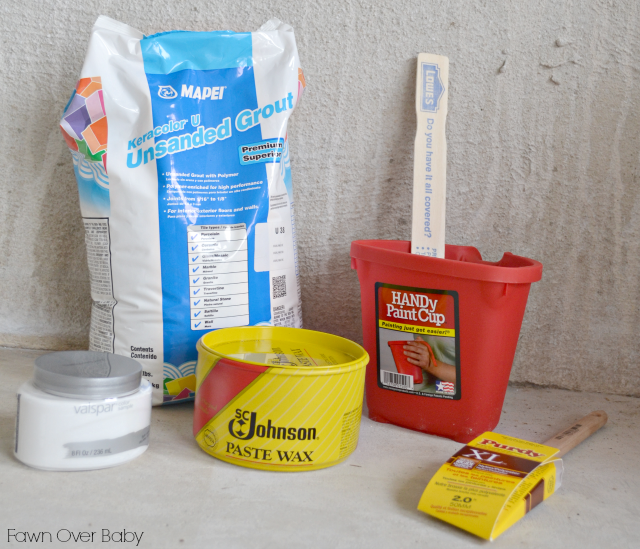 After going through several wonderful recipes at Mommy Is Coo Coo Blog, I went with the un-sanded grout method. Brush onto your surface in the same direction. Immediately apply your second coat. Apply your wax until smooth, then wax off! That's It! 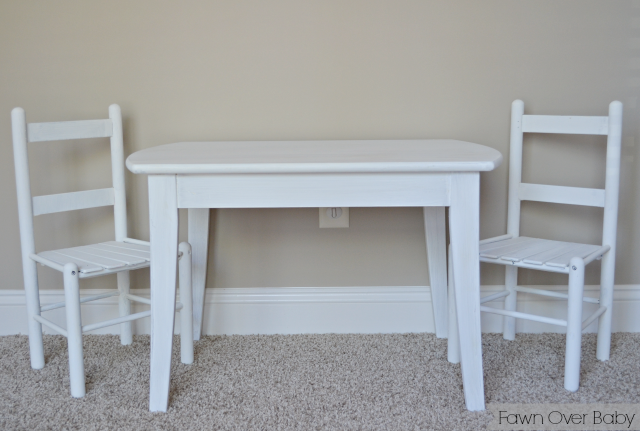 Your Chalk Paint Project Is Complete! 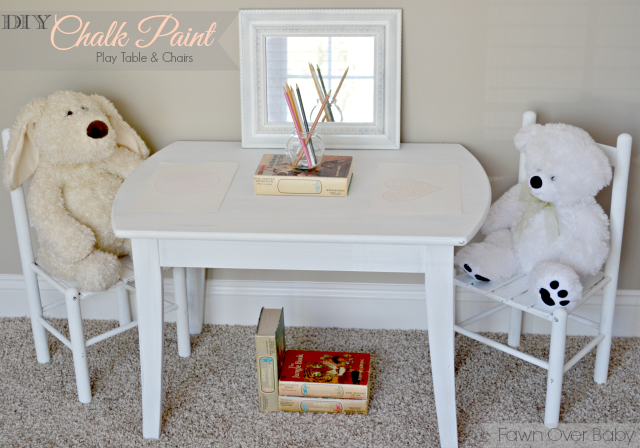 I hope you have equal success at creating your own "Chalk Paint"! I would love to hear your feedback on your attempt! If you tried a different recipe, I would love to hear all about it! Have Fun DIYing This Weekend! So cute!!! Turned out really well. The table turned out beautiful! 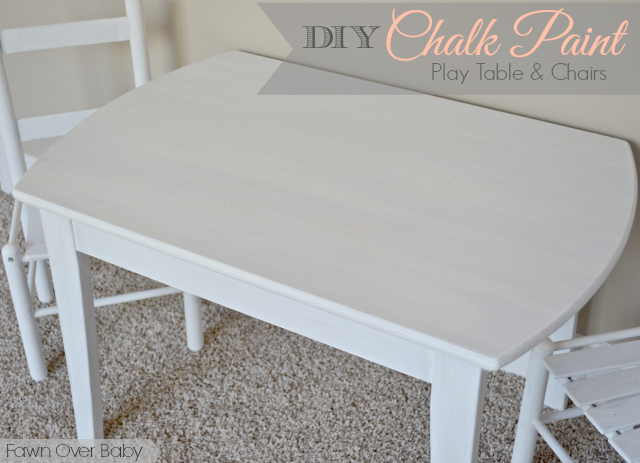 So easy too and probably a ton cheaper than buying actual chalk paint. 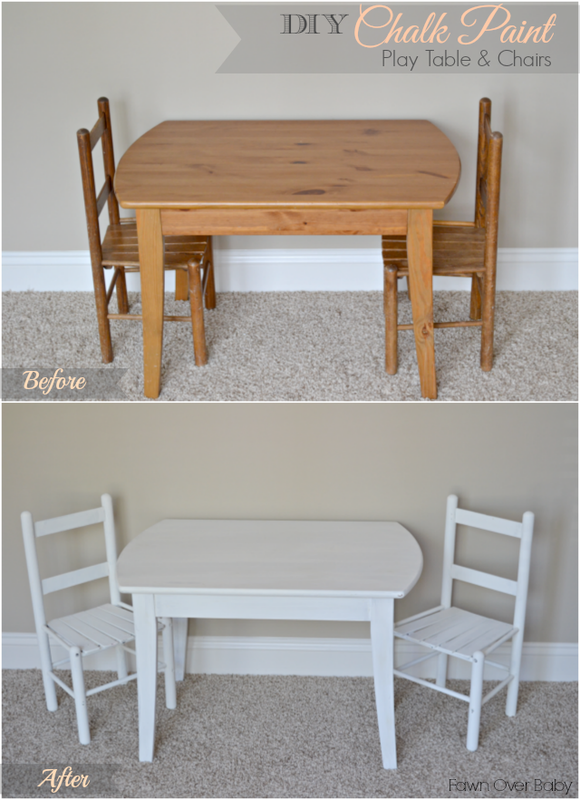 Love Love Love that little table and chairs! Your daughter looks adorable sitting there! This is so random.. But what is your wall paint color??? Love it!